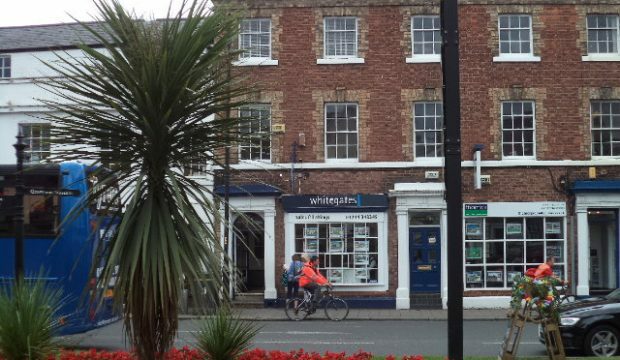 A unique opportunity to lease one of Chester’s highest specification self-contained office buildings in a prime city centre location, extending to 10,510 sq ft (976 sq m). Attractive split level landscaped garden areas to rear with undercroft/garage parking for 9 vehicles. This property is also available to purchase, price on application. 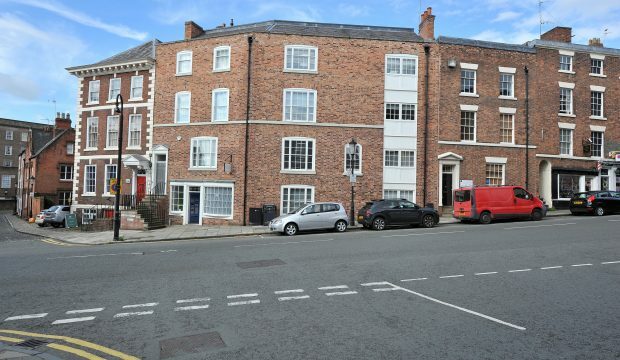 Richard House is located in a prominent position on Lower Bridge Street in the heart of Chester city centre. All the prime city centre shops and other associated amenities are within a very short walk, as is the River Dee walkway, known as The Groves, with a variety of restaurants and cafes. Located just off the city’s inner ring road, the property has excellent road links via the A483 (Grosvenor Road) providing direct access past Chester Business Park to the A555, M53, M56 and national motorway network beyond. Chester general station is within approximately 1 km and operates local services to Liverpool and Manchester and has a regular high-speed inter-city service to London Euston. Liverpool and Manchester international airports are within an hour’s drive, whereas private facilities are located at the nearby Hawarden Airport. Richard House represents a unique opportunity to lease one of Chester’s highest specification city centre office buildings in its entirety. Step outside of the front door and you are within the prime retailing area of the city within minutes. Or alternatively, take a walk straight from the front door along The Groves, a pleasant pedestrianised walkway along the banks of the River Dee with many restaurants and cafes to choose from. Richard House is an attractive Grade II listed office building which has undergone a major and comprehensive renovation and refurbishment throughout to an exceptional standard. 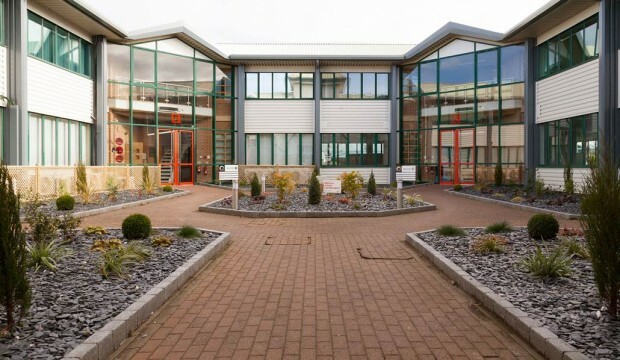 An impressive ground floor entrance and reception area lead to office accommodation on ground and four upper floors, which are all lift accessed. Grade A specification office space is provided predominately in open plan format with a wide variety of glazed partitioned offices and meeting rooms. Kitchens and WC’s are provided on every floor in addition to the large fully fitted kitchen/canteen, located on the second floor. • Recently renovated/refurbished throughout to a high specification. Total 10,510 sq ft 976 sq ft.
An unusual and highly sought-after aspect of Richard House is the private car parking which it provides, slightly further down Lower Bridge Street, with a mixture of undercroft and garaged spaces for 9 vehicles. Richard House is available to lease in its entirety by way of a new full repairing and insuring lease for a term to be agreed. 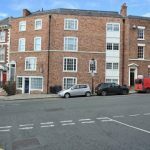 £140,000 per annum equates to a very attractive and competitive rental equating of only £13.30 per sq ft to include car parking. Consideration will be given to a sale of the freehold of the property, price on application. VAT is applicable on rent. The Valuation Office Agency Website (www.gov.uk/correct-your-business-rates) has a 2017 assessment of Rateable Value of £100,000 creating an estimated rate payable of £47,900 per annum. Richard House is located in a prominent position on Lower Bridge Street in the heart of Chester city centre.